If you pay your rent on time you deserve more than good karma. Your credit history is supposed to reflect how well you pay your bills. Unfortunately landlords don’t have the time to report every tenant’s rent. But you don’t have to let your rent go unaccounted for. There are companies that will report your rent for you—helping you build your credit history and boost your credit score. The average American has a credit score between 673 and 695—a range considered “Average/Fair” by most banks and lenders. With these scores, it’s likely you’ll secure a mortgage, car loan or other financing but you probably won’t lock down the best rates or terms. In other words, if your credit score is average, you’ll pay higher interest rates and spend more money month after month. Let’s say you take out a $200,000 30-year, fixed rate mortgage. 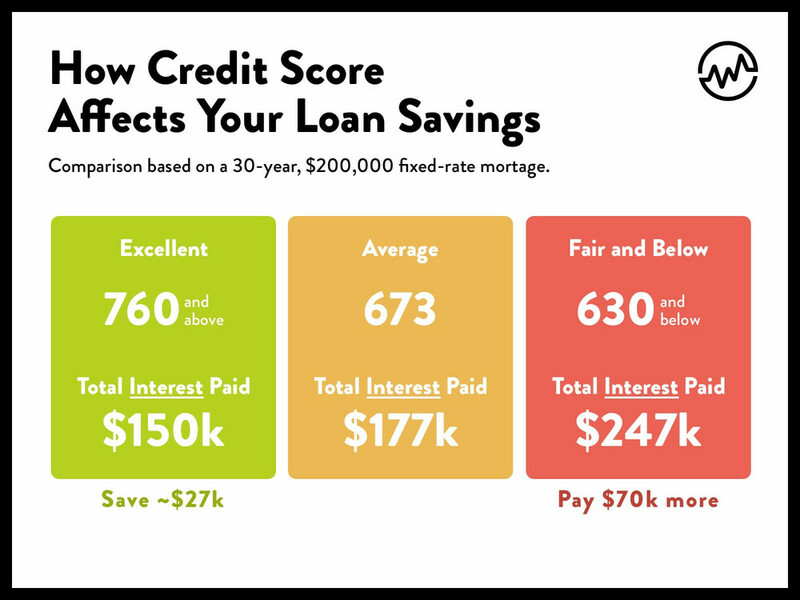 With a 673 credit score, you’ll pay about $177,020 in interest over the life of the loan. With a 760-plus score, you’ll save nearly $27,000. Score lower than 630? Expect to pay $70,000 more for that same loan—if you can even get it. 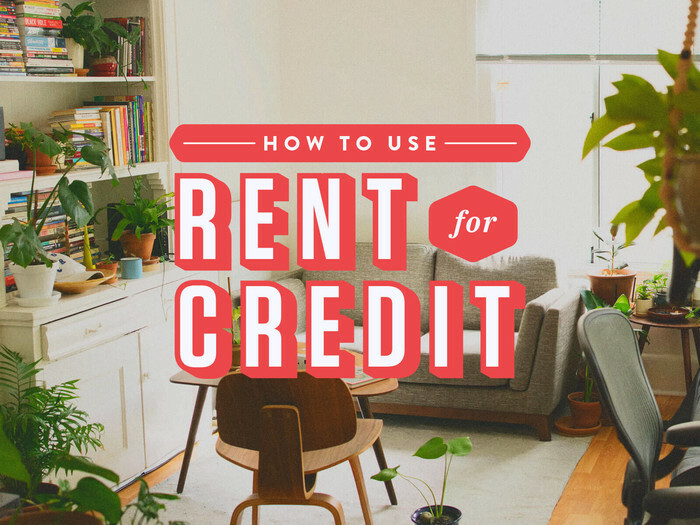 Even if you’re not looking to buy right now, many landlords also check the credit of their rental applicants. For many rentals, credit scores that fall in the sub-par range disqualify an applicant. When renting an apartment, credit scores generally can’t fall below 620, in most cases. Now for the good news: you're not alone, no matter where you fall in the credit score universe. Everyone wants to build their credit history and score, whether they have no credit, a lower-than-desired score or just want to secure the best possible rates. The better news? 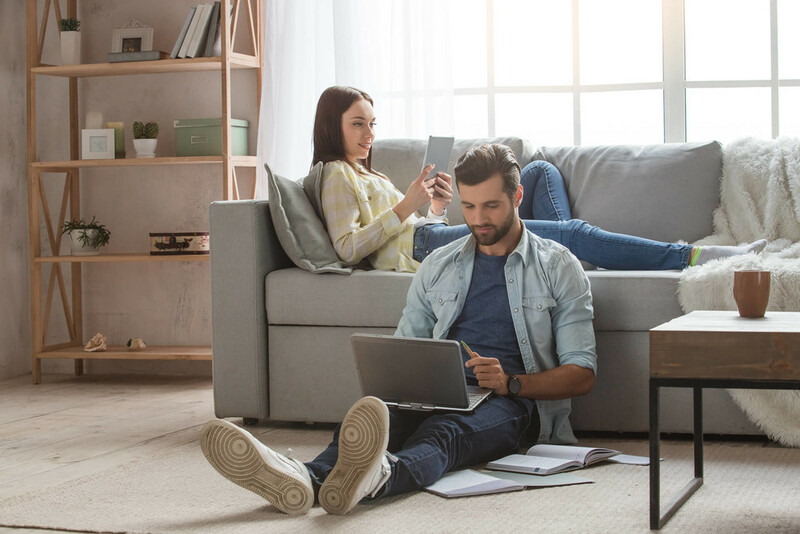 There are lots of ways to boost your numbers by doing exactly what you’re doing right now—paying your bills on time, keeping your credit in-check, and if you’re a renter, working with a company that specializes in reporting rent payments to the credit bureaus. That’s right, that rent you pay every month, that can be reported to boost your credit. 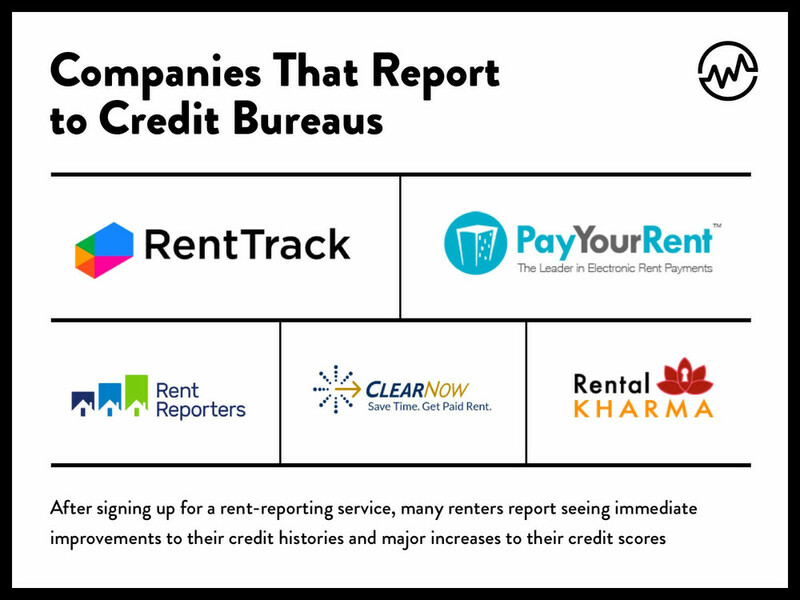 Before you start scouring your credit report for rent payments, know this: it’s not standard practice for landlords or property managers to report rent payments to credit bureaus. BUT, there are companies that have created simple online platforms that collect monthly rental payments from you, then send a check or payment to your landlord or property management company. Then, they report those payments to credit bureaus. So all you have to do is pay your rent and watch your credit score go up. Sign up for an account with a rent-reporting service. Register your information—contact information, rent payment amount, how/where to send, due date, and banking information. Each month, you’ll submit your rent payment to the reporting agency. They’ll then submit your payment to your landlord or property management company via check or direct deposit, report your rent payment to the credit bureaus. Some services allow you to make a one-time payment, or you can sign up for automatic drafts. Once your rental payment is reported, you’ll be able to see it on your credit history. Why Report Your Rent Payments? For their services, RentTrack charges $6.95 per month for ACH rent payments—payments made from a checking or savings account—or 2.95% for credit card payments. The company is also offering users the option to test their new beta program, which can report rental history to credit bureaus for the past two years as well. 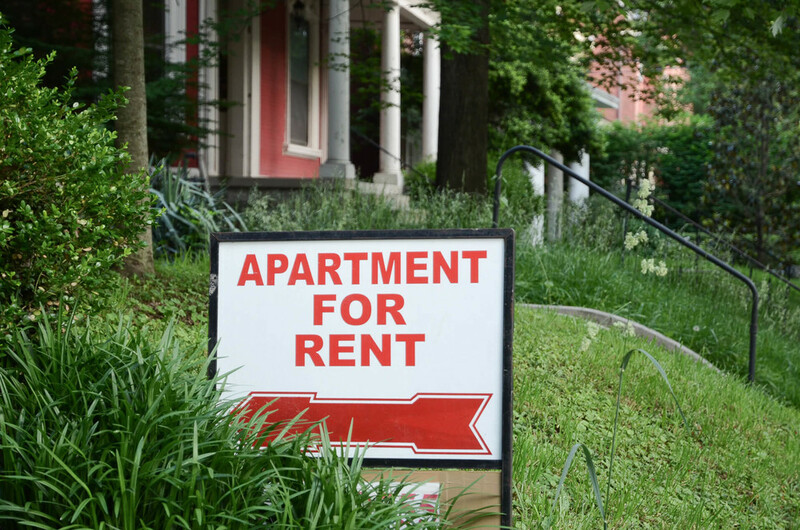 This gives renters an even bigger boost right out of the gate. The fee for this added service is $49.95 for one year of past-reporting or $89.95 for two. PayYourRent is another company offering a service similar to RentTrack. While, in many cases, the landlord or property manager pays the fees with PayYourRent, there can be variable costs to tenants which, for most, are about $3 per month. RentReporters which, like RentTrack, can report up to two years of past rent payments to the credit bureaus. As a result, the company says average credit scores can increase up to 40 points in just 15 days depending on your current credit history. For their services, the company charges $94.95 and a $9.95 monthly service fee. Rental Kharma Rental Kharma claims users see increases of 30 to 50 points in just two weeks, with a full money back guarantee. The company can also go back up to 24 months to add on-time payments to your report. For their services, they charge $25 upfront then a $6.95 monthly fee. ClearNow is a good option if your landlord or property manager is willing to sign up. While they don’t accept credit card payments, ClearNow does offer their services for free. DON’T require your landlord or property management to join. Some companies contact your landlord each time you make a payment. Others require your landlord or property manager to sign up for an account or pay fees for their service. Look for a company that doesn’t require your landlord to sign up or pay. For some services such as ClearNow, your building must be registered before you can start using their reporting services. Reports to all three credit bureaus. RentTrack and PayYourRent report to all three major credit bureaus while many other reporting services don’t. For example, Rent Reporters and Rent Kharma only report to TransUnion while ClearNow reports to Experian. Allows credit, debit or ACH payments. If you want the flexibility of payment by credit card, if needed (and building your credit score even more by paying those charges back), be sure to look for a provider who accepts multiple forms of rent payments. With that said, financial institutions know they need to dig deep when they check your credit. Most won’t simply glance at a credit score and approve an application—and that means your credit history needs to be solid, too. Yes, rent reporting can give you a boost numbers-wise. So, if you’re short on actual credit history or if yours needs a little TLC, this approach can definitely help. But most lenders want to see more “traditional” credit—i.e. that you’ve been responsible opening, using and paying back credit cards, student loans and other lines of credit over time. Of course, to get any benefits from any rent reporting agency, you need to pay your rent on time and in full. Late or missing payments will be reported to the credit bureaus just like on-time payments will. If you’re late or simply don’t pay, your credit score could take a turn in the wrong direction very quickly. Be smart, be responsible and make all of your payments on time. If you do, your score will increase over time making you a better candidate for loans and financing. 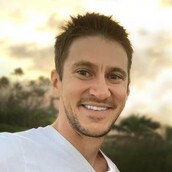 Andy’s passion for making unconventional financial education accessible to everyone is the driving force behind WealthFit.